A small word with a big impact. One syllable that can lead to incredible adventures, new relationships, and abundant life. Recovery has been a journey of rediscovering me, and becoming who I’d always been. You see, during my anorexia, I had forgotten who I was. I had become a hollow shell of myself: without a soul, without feelings, without thoughts (other than ED-thoughts, which were manic), and without love – for anyone or anything: my family, friends, God, and myself. And I don’t think this is foreign to anyone. We all have seasons of life where we feel a little “off.” A little lacking in spirit. Periods of intense stress at work or school; having just broken up with a boyfriend or girlfriend; getting rejected from a dream college or dream job; getting caught up with the wrong crowd…whatever it is, sometimes we lose ourselves. And I was thinking about it today, as I’m getting ready to go out on a spontaneous Indian food dinner adventure with my friends on a Tuesday night, that one of the most impactful things of my recovery, aside from, of course, inviting Jesus into my heart – is saying yes. That has been a game changer, folks. During my anorexia, I withdrew from everyone in my life. And this is coming from someone who has always been a social butterfly. But during my ED, I didn’t answer the phone, didn’t call people back, didn’t accept invitations to do things, and even when I was with people, I wasn’t present. I was in my head. I dropped out of all extra curriculars. Even left school early. I was chained to my eating disorder and no person or fun experience could come between me and ED. I spent years saying no. So now, my theme of recovery, has been yes. I say “yes” to anything that comes my way. And you know what? Saying “yes” has helped me remember who I was, pre-ED. Helped me remember all the things that I loved doing. It forces me to constantly be stepping out of my comfort zone and experiencing new things. In saying “yes,” I am constantly being surrounded by people who want to spend time with me and love me. So even if I don’t always feel that love from myself, I am with people who remind me of just that. So although, sometimes it may seem a tad irresponsible: staying out a touch too late when you have work or school the next day; or maybe getting an ice cream cone with a friend after already enjoying brunch earlier that day…my response is: I’m reclaiming my life. I’m taking back what was once stolen from me by the devil in disguise: ED. I’m celebrating having found myself again and having chosen life and chosen recovery. So I challenge you: what is one thing you can say “yes” to this week? Believe me, I know how tempting Netflix can be. Especially now that The OC is streaming. Goodness gracious. So if you’ll excuse me. I have to go put on a festive outfit and go meet my friends as they celebrate the Indian Festival of Lights. absolutely yes! My recovery has been from Alcohol/drugs. But so much of the same garbage permeates both our lives . I have such great respect for people recovering from food addictions. Thanks for the post. Thanks for being honest. Haha thank you!! You’re so kind to say that 🤓🤓🤓🤓glad you stopped by! Gosh, that seriously means so much. Thank you for the encouragement. You rock, my friend! Oh man this hits me hard. My roommate always goes out with friends or her boyfriend and I usually don’t. I make the excuse that I work long hours and am tired. Really, that is true, but I also like quiet. I like to take a break from being with people all day and just be with myself. That makes it hard to want to go out. This is something I need to work on. How did you take the first step? Thanks Ellie. I totally feel you. Especially with Facebook, it’s easy to feel like we’re missing out. I guess the first step was just something small. Say yes to whatever invitation comes along! Maybe that’s coffee with a friend or going out for a drink on Friday night with the coworkers. One suggestion would be to arrive with a friend, that way there’s no anxiety of not knowing anyone! But just take the plunge. The funny thing is, once you’re “out there” saying yes becomes easier and easier. You’ll realize that you’ll actually become MORE energized after being out and about. Counter intuitive but so true. So excited for you to get out there and grab the gusto! Hugs friend! This is so true!! 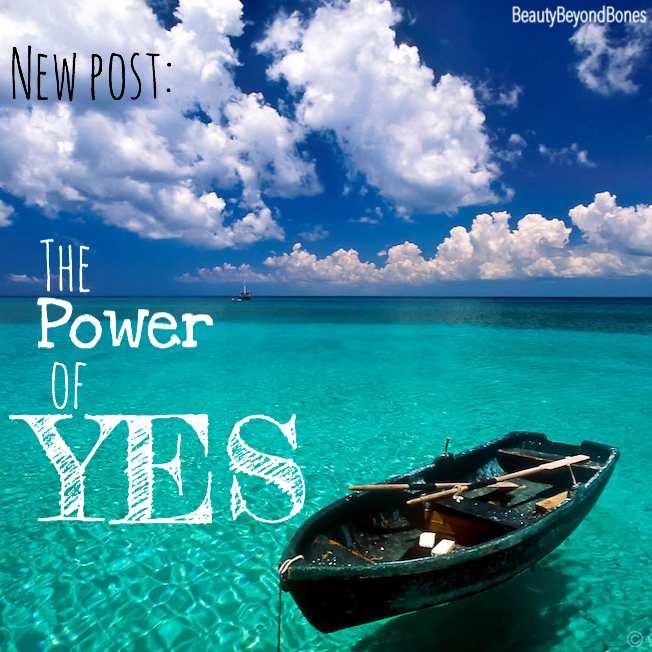 Saying yes is so absolutely literating, ESPECIALLY when we don’t want to! You’re so right! It makes us free and helps us dive in head first into new adventures. Thanks for stopping by! Hugs! Great words if hope and encouragement. Will reblog! Oh thank you so much JanJoy! I appreciate the reblog:) glad you stopped by! Thank you so much John. I am so glad it is in the past too. God is good, what can I say! Saying yes is like a snowball. You do it once and then you get more momentum to say yes again and again because of the tremendous feeling of love – both from others, and from self. Saying yes is not only a kick in ED’s pants, but it also communicates to oneself that I’m worthy of going out and doing things! Thanks for stopping by John! Have a great night! So thankful for your recovery. Saying yes to Jesus first was wisdom. That helps you decide what else to say yes to. Live in joy and love it. Your message here is one all of your readers are relating to. That includes me. It sounds easy when you say that you’ll do this. It sounds simple to say yes and not no. But the hardest thing is changing your habits and saying something different to last time. This post will help us all to have the strength to continue fighting, or so I feel. Thank you Harry! You’re right, it is A LOT easier said than done. But luckily it is like a muscle and the more you say yes, the easier it becomes. Thank you so much for such kind words. Blessings to you, friend! And God bless you, too. You summarise it all so very well. Hsha thank you so much! I think it’s at the bottom😂 glad you stopped by! Ah I see now, I had to disable my adblocker^^ Didn’t know it would block out like and share buttons. Thank you friend! Thanks for stopping by! Thank you so much Caryn. I appreciate your encouragement 🙂 it is my deepest hope that someone somewhere might read these words and be comforted with hope:) thank you for reading and for your kind words! Hugs! Reading your posts is like opening a window to let a breeze sweep through. Your recovery adventure is inspiring! (Love your graphics, too.) I expect as you keep inhaling the love of Jesus, His joy in who you are will feed YOUR joy in who you are. 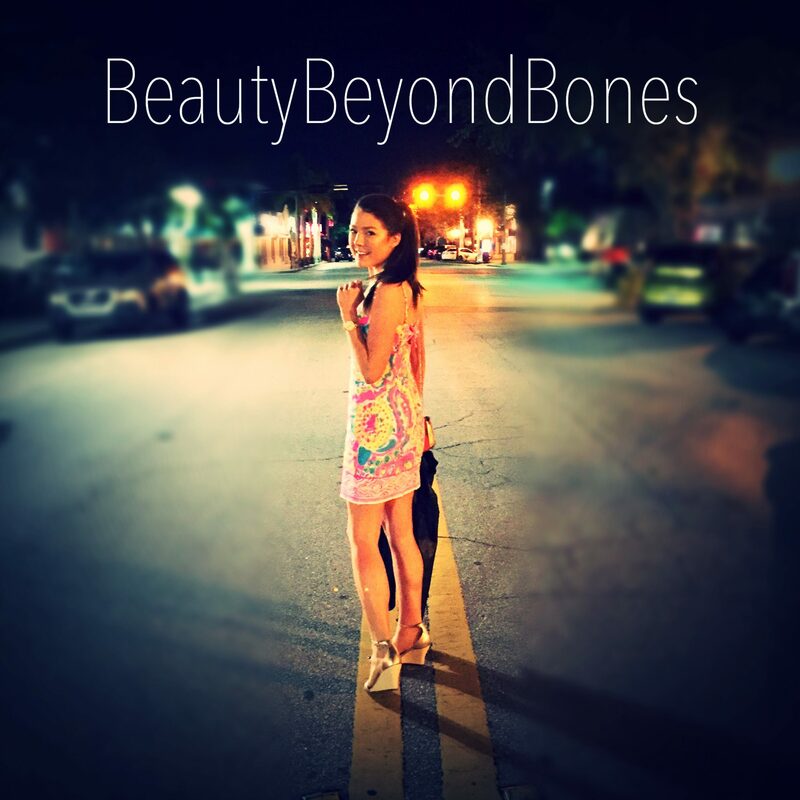 Thanks so much for sharing your beautiful story! Awesome post! This was perfect timing for me as I am considering a major move to Colorado and completely changing up life as I know it. Thanks! Thank you so much Daniel! Oh wow, what an exciting time of your life! I love Colorado. I have a lot of friends that live there and they can’t say enough good things about it! Good luck with everything! 😀 Thanks for stopping by! I wanted to applaud! But no one would hear it. Haha thank you so much Dennis! That means a lot! Glad you stopped by! Thank you so much Meg! I appreciate you stopping by! 17 You may be asking why I changed my plan. Do you think I make my plans carelessly? Do you think I am like people of the world who say “Yes” when they really mean “No”? 18 As surely as God is faithful, our word to you does not waver between “Yes” and “No.” 19 For Jesus Christ, the Son of God, does not waver between “Yes” and “No.” He is the one whom Silas, Timothy, and I preached to you, and as God’s ultimate “Yes,” he always does what he says. Thanks also for the recent “likes” on Dr. J’s Apothecary Shoppe. Wow what a beautiful verse. Thank you so much for sharing that! You’re so right – He does not waver. Thanks for stopping by! Thank you so much Jasmine. You’re so right: it’s a journey to saying yes. To saying yes to life and fun and health. Thanks for reading! Hugs! Awesome! Thank you so much! I really appreciate it:) thanks for stopping by! Absolutely beautiful! Yes, the only person that can give you the best love and care is yourself. GOD lives inside of you and you certainly awakened the God in you. Thank you so much Emma. You speak so much truth! You’re right- we’ve gotta care for and love ourselves. Even when it’s hard. Thanks for stopping by and for your lovey words! Blessings! Enjoying each moment has been such a part of my journey to really seeing who I am in Christ and who He is, most of all. It has been so freeing, knowing that I can trust Him for every step, and I will never fall. That is such a beautiful thing, Emily. You’re so right: we can absolutely trust Him for every step. Every. Single. Step. He’s got our back. thanks for stopping by! Love ya girl! Oh thank you so much! I’m so glad that my post struck a chord with you! I will definitely check out your post! Thanks for the support l, friend! Blessings to you on your journey! What a beautiful post. What you write is so true! I will try to say “yes” more often. Thank you so much for your kind words! I appreciate it. Me too! Let’s make it a “yes” week! Thanks for reading! Oh thank you so much! I really appreciate it! Blessings and love to you! Yes to finding yourself again. Yes to a fit and fabulous me. Thanks:) I’d give that a big heck yes!! 👍☺️☺️☺️ thanks for stopping by! I love your beautiful testimony! Namaste! Thank you so much! That means a lot:) peace and love to you! Hugs! ☺️☺️☺️here’s to a great day! Thank you so much for sharing (and for the reminder)! Saying yes was what got me on the right track to recovery from my slew of mental illnesses as well. Exactly how you had described; I felt like I had no idea who I was anymore. And beginning to say yes was even scary in the sense that I had no idea if I would like who I was once I started to find myself again. It’s such a small word, but it packs such impact! With the stress of school and life in general I just realized I have stopped saying yes again! Thanks SO much for the reminder that it is ok to put it all on hold and just say yes! Thanks for sharing my post! Hugs!